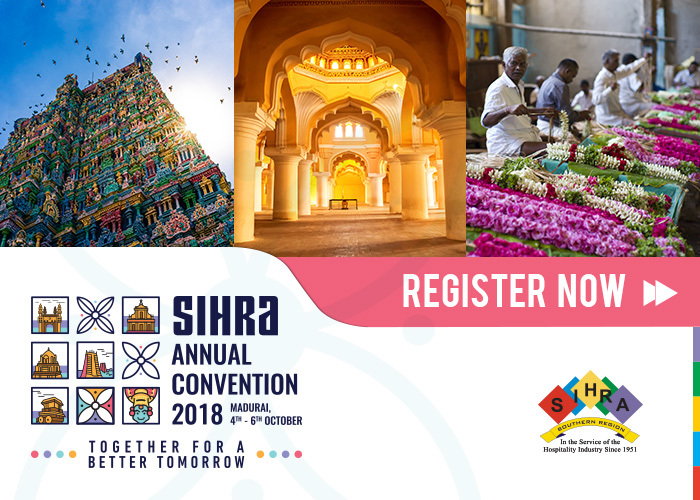 We are sure you have since received our announcement about the SIHRA Convention 2018 scheduled to be held in Madurai on the 4th, 5th & 6th October, 2018. This convention is a significant first step towards bringing together all the Southern states of India, providing abundant opportunities for the growth of the hospitality industry. It is the single largest business & networking platform in the hospitality sector that helps brainstorm on the various policies and programs affecting the sector. The focus for this year’s convention is emerging trends, culture & culinary arts, new trends in the beverage industry, women leadership in the Hospitality Industry. We are privileged to have the Officers of the Department of Tourism from each of our States participating in a Session on “Policies for easy Business”. The Venue for the Convention is the Courtyard by the Marriott. Cultural events and gala dinners have been confirmed for all days at the Courtyard by the Marriott, the iconic Gateway Hotel set on the Pasumalai Hill surrounded by acres of scenic gardens and at The Fortune Pandiyan Hotel, Madurai’s first luxury hotel that is set amidst 3 acres of landscaped gardens. We encourage you to take this opportunity and register early. The registration form can be filled and returned at the earliest. 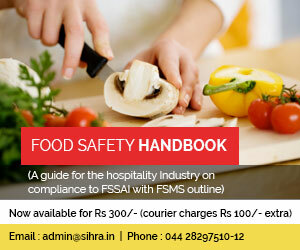 Please find below the links for E brochure with some additional information and registration form. We request each and every one of you to come, participate and join hands to make this event a grand success, creating new heights in excellence and quality.